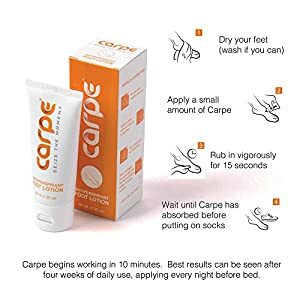 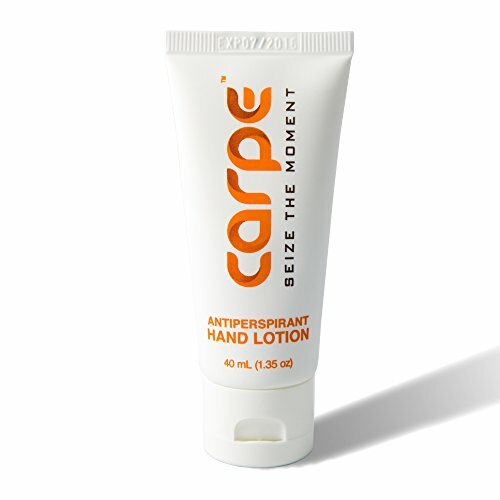 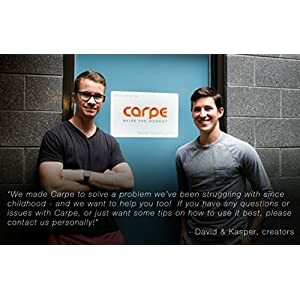 Carpe Lotion is a dermatologist-recommended, FDA-compliant, clinically-proven antiperspirant lotion that goes on smooth, absorbs fast, and prevents sweaty feet. 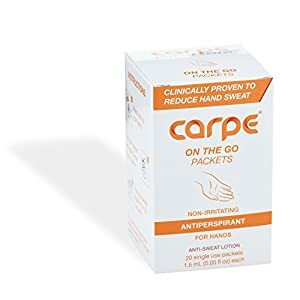 Carpe has a soothing eucalyptus scent that fades quickly after application, so once you rub it in, you are left with nothing but sweat-free hands. And it'll feel great! 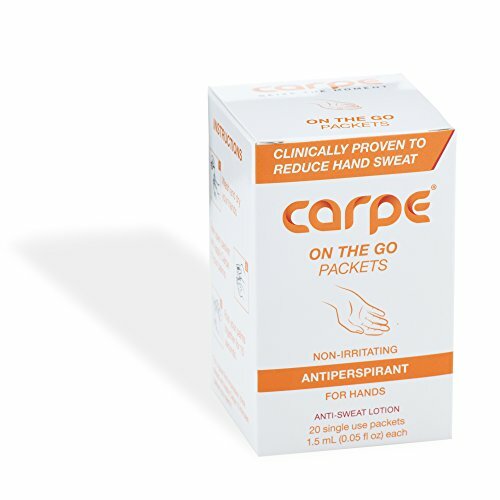 Carpe has been proven to be 100% non-irritating in a clinical studies.